Two separate ducts route intake noise into the firewall from the intake manifold, allowing two different octaves of engine music to penetrate the passenger compartment. 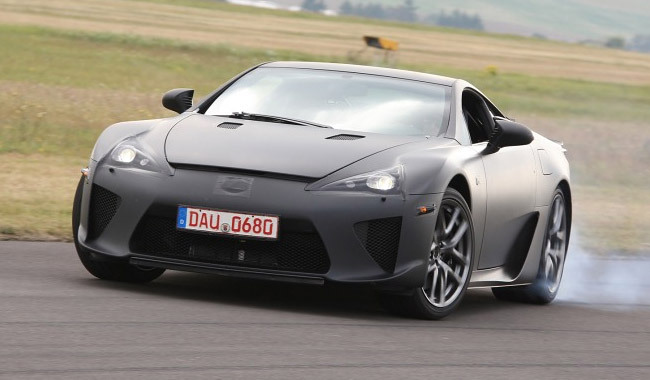 As a result, the LFA’s engine note dominates the driving experience. Developed in conjunction with Yamaha’s musical instrument division, engineers tuned the LFA’s engine note the same way sound is tuned in an Ovation guitar. Uniquely shaped ribs in the intake manifold cover are designed precisely to produce a pleasing engine note. Amazing that Lexus would work with musicians to perfect the LFA’s engine note—amazing attention to detail. Another fact—the supercar is equipped with Launch Control, and the 0-60mph time of 3.6 seconds was recorded without utilizing it, meaning the car is likely to be even faster than the official numbers. Other things you didn’t know about the LFA? You’ll have to check out the list for yourself.